Music is a vital part of our existence on Earth and there are many iconic destinations in this world and further afield related to it. 5 places with a musical theme worth visiting - Except for the Milky Way! George Martin, Beatles producer, had a studio on the Caribbean island of Montserrat. The building now crumbles, in the shade of an active volcano. There is an abandoned outdoor swimming pool, a studio overgrown with vegetation, but with leftover pieces of recording equipment used to make so many famous albums of the past. Greats such as Paul McCartney, the Rolling Stones, Stevie Wonder, Elton John and Michael Jackson recorded here, while enjoying a stay in what was a piece of Caribbean paradise. Back in the days before “talkies,” silent movies had pipe organ music as a background in the theatre. Built in 1929, the Coleman Theatre still retains its splendour as a former movie palace and vaudeville theatre. 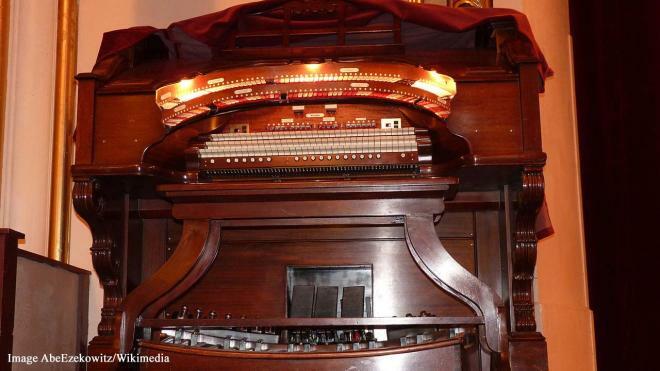 The original “Mighty Wurlitzer” pipe organ was initially sold to pay expenses, but was returned to the theatre in 1996 and can be heard playing the musical accompaniment to many silent film classics, just like it did back in 1929.